How is everyone? It was a quiet weekend! I was in a lot of pain thanks to the hurricane that is battering the east coast currently. The rain makes my legs & chest ache in ways that make it difficult for me to do more than cower in bed with ice and NSAIDs unfortunately. However I did have time to create a few cute looks that were more fall inspired. Generally I love the fall. 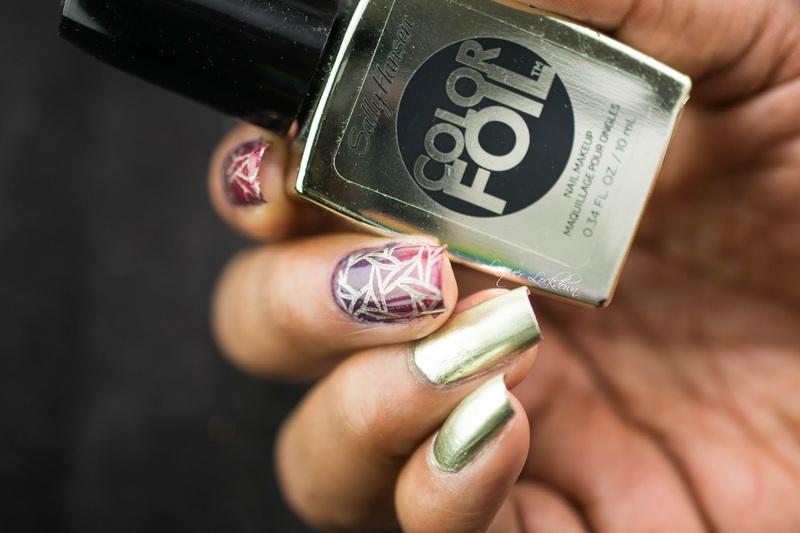 For me fall means it's time for rich golds and bold color choices. There's so much I want to do but I know I don't have the stamina to do everything so I decided I'm definitely going to be sharing more of my nail art but not necessarily creating tutorials for everything I create. This is something I talked about a few posts back especially for the more simple nail art I create unless its requested. 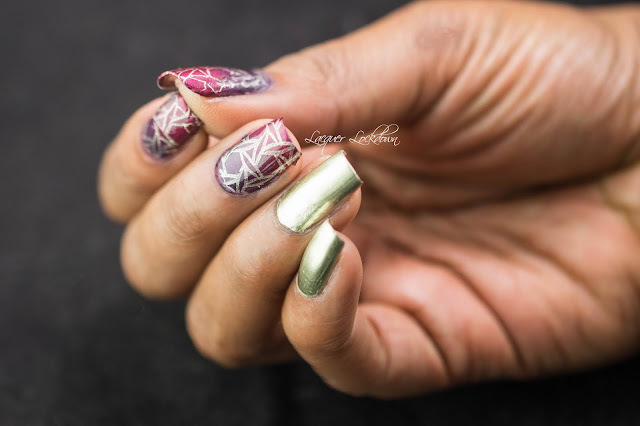 This nail art came about because I really wanted to break out my rich gold polishes that were shimmering as well as some of my Orly Satin Hues. The Satin Hues polishes are something that I've been collecting for years. They are no longer made but every time the fall comes around I want to break them out! They are so pretty, but this time I wasn't able to keep the matte satin effect because of the stamping. Since I stamped with regular polish and not stamping polish the stamping was delicate and topcoat was necessary in the extreme to prevent pattern loss. I could have gone back and put down matte topcoat, but it doesn't have the same effect as the satin matte polish. I don't know how to explain it but the matte effect of the Orly Satin Hues is very soft compared to most other matte polishes. I actually had the luck to come across the satin matte topcoats on ebay a couple weeks ago in a total random find. I'm actually fairly excited for those to arrive since I had no idea Orly had actually made a satin matte topcoat and it means that I'll finally be able to get that effect without compromising my nail art! P.S. If you would like a tutorial for this nail art leave a request in my comments otherwise I'm moving on with my next look! This post contains items purchased by me & sent for my honest review. For more information see my Disclosures Policy. My Favorite Plates for Halloween 2018! Super Girly Neon Geometric Nail Art + Tutorial!